Together with the Social Security Administration and our sponsors, Pioneer and Fidelity, 401k Plan Professionals presents a Social Security 101 Lunch & Learn with Rhonda Whitenack. Join us and bring a friend for this free one-hour event. Panera will be served for lunch and you will walk away with a deeper understanding of the social security benefit. Please be sure to register using the button below. We hope to see you there. Listen and follow-along with this 15 minute webinar from April 2019. For this webinar we had our first guest host, Carolee Lindsey, CPA of Weber & Deegan. Ms. Lindsey walks through employee benefit financial statement audits and what you, as a plan sponsor or member of plan management, are responsible for. Fiduciary responsibilities and understanding what yours is as it pertains to your plan are key to this process. These audits are required by ERISA and hiring a qualified, properly educated Employee Benefit Plan auditor should be at the top of your to do list if your organization has a retirement benefit for your employees. Both the IRS and Department of Labor (DOL) are involved as well. A 401k is an employer-sponsored retirement savings plan. It is the most popular way for people in America to save for retirement. This savings vehicle is a way for individuals to save for retirement directly from their paycheck. Employers may put in some of their own money with a profit share or a match contribution, but it is not required. Follow along with Jenna Witherbee of 401k Plan Professionals as she explains & simplifies the employer-sponsored retirement vehicle known as a 401k. This video is 1 minute in duration. Jessica Ballin of 401k Plan Professionals is the newest member of the Retirement Advisor Council. Mrs. Ballin serves a 2 year term with the council where she will continue her work as an advocate for holistic financial & retirement education for both plan participants and plan sponsors. Every other month, using a webinar format, 401(k) Plan Professionals shares advice & education on financial wellness topics to help bridge the gap on retirement readiness and overall financial understanding. We are excited to announce that our second webinar of 2019 will be Thursday, April 4, 2019 at 10:00 am Central. We have a guest presenter this month. Carolee Lindsey of Weber & Deegan will host this 15 minute event to discuss retirement plan audits and what you as a plan sponsor need to know. Our webinars are open to all. Please be sure to add the event to your calendar using the button below. Certain criteria must be met for your 401(k) Plan to be considered Safe Harbor. Follow along with Jenna Witherbee of 401k Plan Professionals as she explains & simplifies discrimination testing and how it pertains to a Safe Harbor plan option for retirement plan sponsors. This video is about 4 minutes in duration. Kelly Pannek joined our team at 401k Plan Professionals in 2015. Since day one, she has played an important role in our client’s experience through her willingness to help and deliver on any task. We are continuously impressed by her unique ability to balance her education, her role with our team, and the demands of her collegiate and olympic hockey careers. 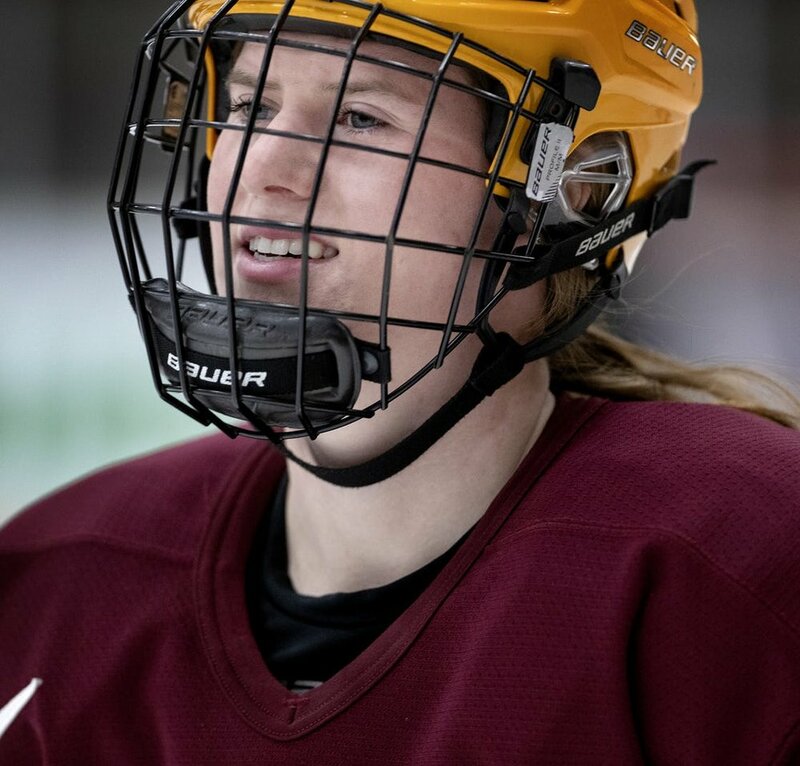 Kelly has helped lead both the University of Minnesota Gophers Women’s Hockey team to multiple national titles and Team USA Women’s Hockey to their Gold Medal win at the 2018 PyeongChang Winter Olympics. On or off the ice, Kelly's presence, personality & leadership are easy to feel. 401k Plan Professionals celebrates our outstanding team member, Ms. Pannek, today and every day. What is the difference between a Roth & Traditional 401k? We get this question all the time. The main difference is whether you pay taxes now (Roth) or when you withdraw the money (pre-tax/traditional). Jenna Witherbee explains in more detail. This video is 2 minutes in duration. Listen and follow-along with this 10 minute webinar from November 2018, hosted by Jenna Witherbee, to learn about investing fundamentals during market volatility. Minneapolis, Minnesota —Jessica Ballin of 401k Plan Professionals recently participated as a delegate to the National Association of Plan Advisors’ (NAPA) Annual DC Fly-In Forum, an exclusive gathering of the nation’s leading retirement plan advisors. Delegates to the NAPA DC Fly-In Forum converged in the nation’s capital to listen to and brief top congressional leaders about the impact and importance of the nation’s workplace retirement plans, and, as advocates for the employers and participants they work with, shared how proposed laws and regulations might impact American workers’ retirement security. Jessica Ballin, a member of NAPA, was one of approximately 200 delegates selected to participate in the sixth annual NAPA DC Fly-In Forum July 24-25. This year NAPA DC Fly-In Forum delegates heard from Congressman Richie Neal (D-Massachusetts), and Senator Todd Young (R-Indiana), both of which have recently introduced legislation that would impact retirement plans, as well as Assistant Secretary of Labor Preston Rutledge and Securities and Exchange Commissioner Hester Peirce, key figures in recent developments regarding considerations regarding a fiduciary standard. Panel discussions with key Hill staffers shed light on prospects for legislative reforms, and delegates also gained insights on litigation trends and new retirement policy proposals, followed by a dinner keynote address featuring a perspective on the mid-term elections from CNN Chief National Correspondent John King. Securities offered through LPL Financial, Member FINRA/SIPC. Investment advice offered through Global Retirement Partners (GRP), a registered investment advisor and separate entity from LPL Financial. 401k Plan Professionals Education Series: What do I do with my 401k if I change jobs? Are you leaving or switching jobs? Jenna Witherbee explains your three options when you have retirement savings in your past-employer’s 401k plan. This video is 1 minute in duration. Our 6th Annual Summit is right around the corner. We are excited to see our partners and clients and share with you what we’ve learned during the last 12 months. If you are a plan sponsor or know of a plan sponsor who would like to attend, we would love to have more guests to connect and share with. If you do plan to attend the Summit, please RSVP to Jessica.ballin@lpl.com by September 27th, 2018. We can’t wait to see you in October! Jessica Ballin, principal at 401k Plan Professionals, earned a spot on NAPA's 2018 Top Retirement Plan Advisors Under 40 -- the "Young Guns". She is featured on pages 37-40 in the cover story, which you can read and view in the PDF below. Did you know? NAPA stands for the National Association for Plan Advisors. It is a trade association for retirement plan advisors and NAPA lobbies at the capital to ensure Congress does not limit the ability for Americans to save for Retirement. Note for viewing: You can enlarge the view to 'full screen' by clicking the square image that appears in the bottom right of the pane. You can also navigate left and right & zoom in and out as you move through the information. Listen and follow-along with this 7 minute webinar from May 2018 to learn how to avoid these 10 common financial mistakes. LPL Financial published their midyear 2018 Outlook. This contains digestible information regarding the markets and more. The PDF below contains the full update. You can enlarge the view to 'full screen' by clicking the square image that appears in the bottom right of the pane. You can also navigate left and right & zoom in and out as you move through the information. If you'd like the PDF for yourself, your plan participants, or someone else, please reach out and we will send it your way. Jenna Witherbee is one of NAPA's Top Women Advisors of 2017 (along with Jessica Ballin and others). 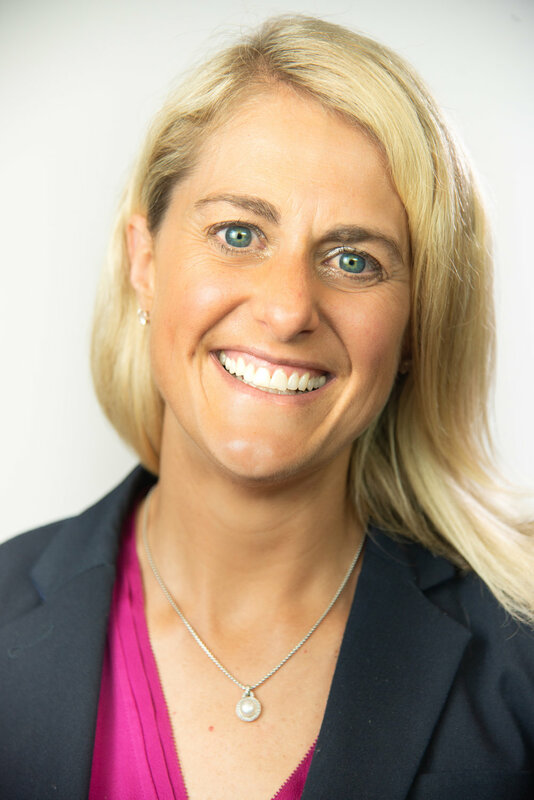 In this 4-minute interview, she shares her best day, the importance of having a heart to help people, and what she has learned during her 9 years as an advisor with 401k Plan Professionals in Minneapolis, Minnesota. Jessica Ballin shares her passion for helping people and why she started 401k Plan Professionals. 401k Plan Professionals Education Series: What are the tax benefits of having a 401k? Gina Buchholz shares, in two minutes or less, the tax benefits associated with having a 401k plan.